A stimulating and pastorally-oriented commentary on Luke's biography of Jesus. Luke's portrait of Jesus shows him coming into Galilee proclaiming "good news to the poor ... freedom for the prisoners and recover of sight for the blind." More than any other Gospel, the Gospel of Luke shows Jesus' concern for the downtrodden and oppressed - those marginalized by society - including women and children. It also displays his concern for those outside the house of Israel. Luke's Gospel seems "tailor-made" for the multicultural world we live in, filled with misunderstandings and sometimes bitter ethnic divisions. His story explains how men and women of different ethnic origins can be transformed into a unified community and share together in the blessings of salvation. In this stimulating, pastorally-oriented commentary, readers will find an introduction with background material concerning authorship, date and purpose, as well as a summary of important theological themes. A passage-by-passage exposition follows that focuses on understanding what Luke had to say to his original readers in order to see its relevance for the church today. 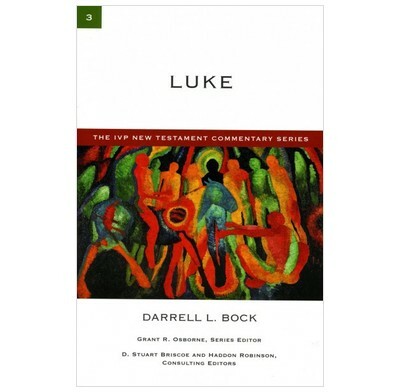 Students, pastors, Bible teachers and everyone who wants to understand the message of Luke for the church will benefit from this excellent resource. I bought this book to help me prepare for a children's holiday club where we were studying Luke, and I had to write questions for the children, and summaries for each day's passage. I then used it for personal study when studying Luke in my quiet times. It includes a good amount of detail for talk preparation but not too much, and has a fairly clear and easy to read style - it is not too academic. It was okay for personal study though there are probably better guides to Luke available that include questions. However, I don't think it's main purpose is for use in quiet times. I'm only a quarter of the way through but I'm finding this a really helpful guide to Luke and it's hard to put down. I'm a relatively new christian so was a bit daunted when I read the blurb in the book saying it was good for Bible Teachers as I'm anything but. There are tonnes of references to other authors and other parts of the Bible, you could easily be there for hours wading through so I made the decision to ignore them and am now really enjoying reading this.